March 19, 2013 11:50pm- D called me up and asked me to check my email. I initially thought it's a letter or message he prepared for my birthday. I was busy playing Candy Crush so I told him that it's not yet my birthday and that I'll check it later after I finish the level was playing. He kept bugging me to check my email already, and so I did and finally saw his email with a PDF file attached to it. 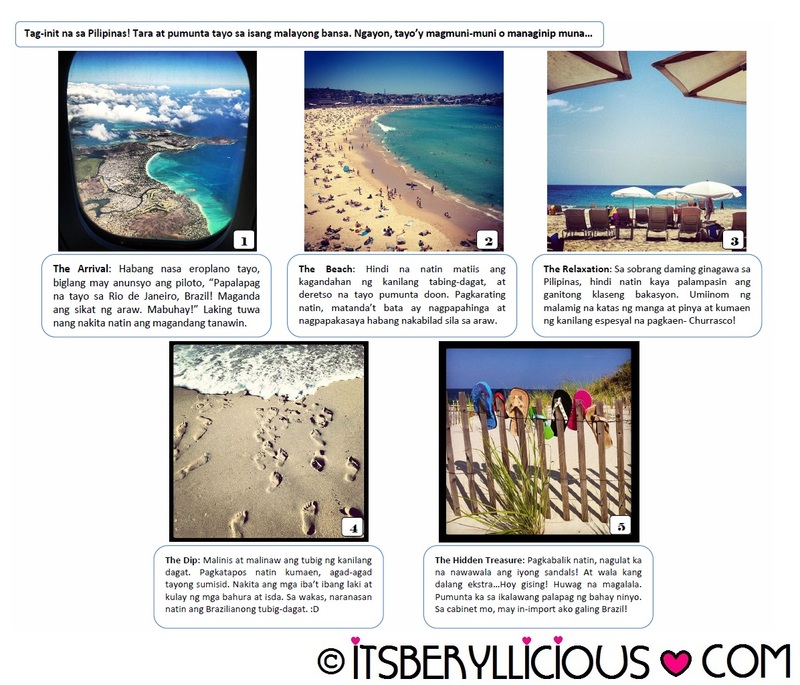 It was a comic strip with photos of beaches and sands. D knows that I love travelling above all things. He also knows how hesitant I am on spending money on branded clothes, shoes, bags etc.. We would always talk about how we would limit our shopping budget now, for us to be able to splurge on travel plans in the future. Then, I noticed it was written in Tagalog. The funny things is, I constantly tease D about his Tagalog. He fluently speaks Tagalog but there are times when he mixes up his words and creates a whole new funny meaning. Ok, maybe he used Google translate or asked someone to help him, I thought. I can't help but laugh and at the same time smile as I read through the strip. At the back of my head, I thought, where is this going? Perhaps a plane ticket to Brazil? (I wish!) Then the last part hit me.. I already knew then and there what it was. 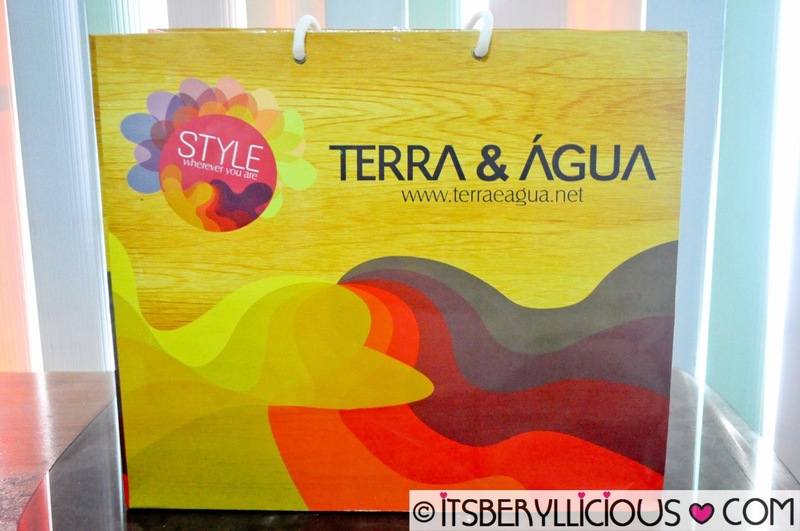 I opened my cabinet and there it was...A Terra & Água Paper Bag. 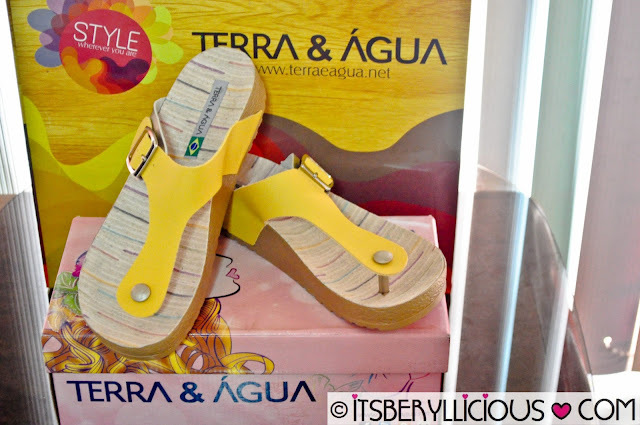 It was the sandals from Terra & Água which I've always wanted to buy but didn't because of the reason stated above :) I immediately tried on the yellow sandals which fitted perfectly. It was very light with soft straps and durable plastic base, and it was so comfortable to wear. It also has this simple yet classic design which came in a fun and vibrant yellow color that screams "Hello Summer!" :) I couldn't be any happier. 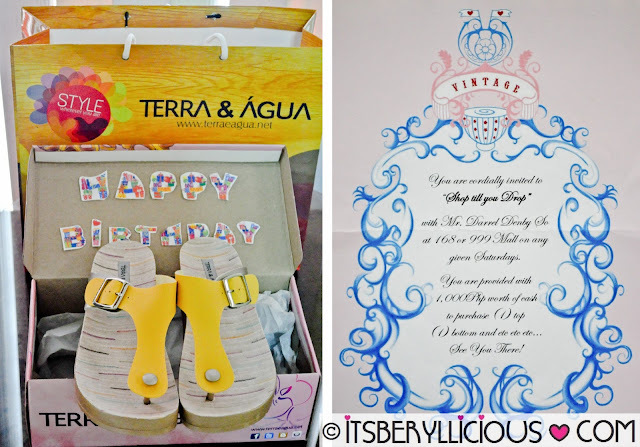 And that's not all, inside the shoe box was a letter/invitation to a one day shopping spree at 168/999 mall in Binondo. 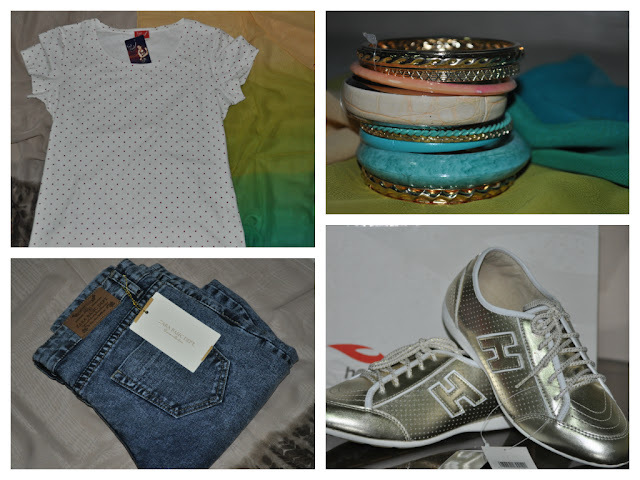 Funny and sweet.. D knows me really well. I asked him regarding the comic strip and he proudly said that he made it all by himself..I didn't believe him at first. I told him that I was sure he just used google translate which he denied but admitted seeking the help of Google images for the photos. Then I found an evidence.. There is no way he knows what "Bahura" means without seeking help of another source. Guilty as charged with Google translate as accomplice. But with or without the help of anyone or anything, I must say that D remains to be the sweet guy I knew back then. He never stops trying to surprise me even if he always gets caught with his plans.